​The Bible is the best Book in the world. It is the Word of God. It is better than any other book that has ever been written or ever will be written. Catholics are not only permitted, but urged, to read the Bible. They must read a version approved by the Catholic Church. Catholic Bibles have the necessary explanations for the guidance of the faithful. To find a text in the Bible, as Matt. 16:26, turn to the Gospel of St. Matthew, Chapter 16, verse 26. All texts are found in the same manner. What is Holy Scripture, or the Bible? — It is the Word of God written by men under the inspiration of the Holy Spirit, and contained in the books of the Old and the New Testaments. The seventy-two sacred books, together forming the Bible, were composed by forty writers in three different languages: Hebrew, Aramaic and Greek. The period of composition covers at least 1,300 years, from Moses, to St. John the Evangelist. 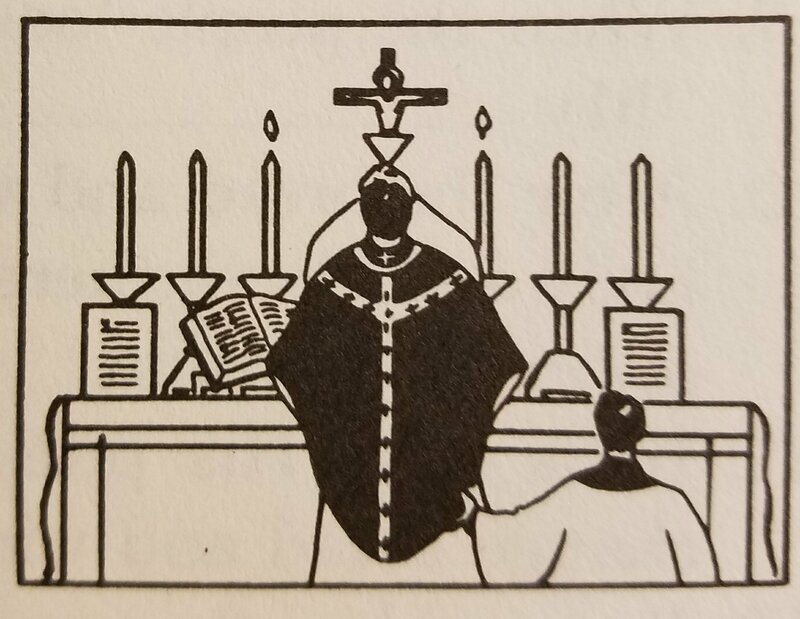 “God, who at sundry times and in divers manners spoke in times past to the fathers by the prophets, last of all in these days has spoken to us by his Son” (Heb. 1:1). The writers were inspired by God. By a supernatural influence God enlightened their mind and moved their will to write all that He wished, and only that. They acted as free instruments of God, Who directed them and preserved them from error. The writers of Holy Scripture were, however, not passive instruments. Each writer brought his personality with him into what he wrote. The writers were like skilled painters who paint from the same model. The products are similar and all correct, but with differences according to talents. Is God the Author of the Bible? — Yes, God is the Author of the Bible. “All Scripture is inspired by God” (2 Tim. 3:16) . Copyists and printers, however, can and do make mistakes in copying the Bible. 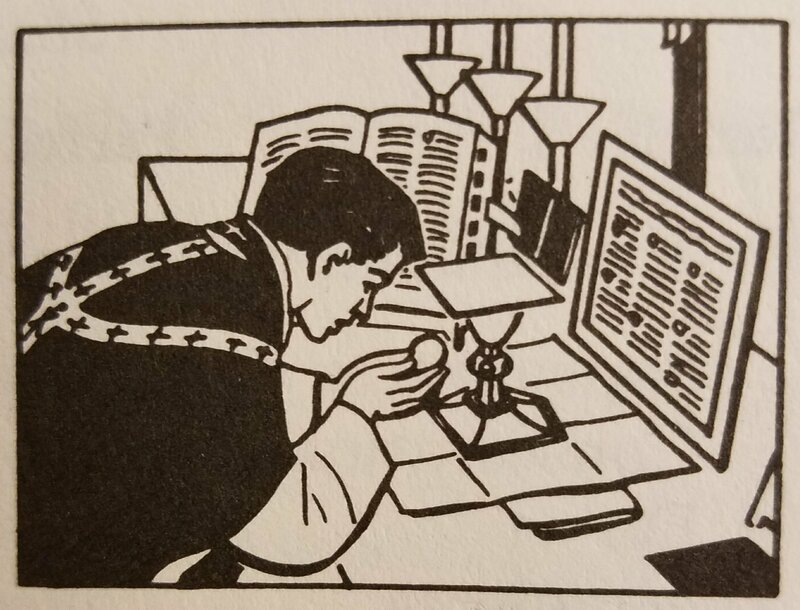 This is why we take solemn oaths on the Bible, stand up when the Gospel is read, and have incense and lights used when the Gospel is sung at solemn High Mass. Can the books of the Bible be proved to be reliable historical records? — Yes. Science throughout the years has been proving itself the handmaid, instead of the enemy, of the Bible. Recent excavations and researches have proved that such distant events as the Fall of Jericho, the destruction of Sodom and Gomorrha, and the Deluge, really and actually happened, and are no mere figures of speech. Sir Charles Marston, the eminent British archaeologist who has worked extensively in Palestine, firmly declares that far from being mere mythology, the Old Testament is, substantially, contemporary eyewitness accounts of events set down as they took place. Remains he has found include information on events that took place in the times of Abraham, Moses, Solomon, and Jeremias the Prophet; even the name of Abraham has been found. Tablets found in Babylonia and Assyria refer to the Deluge. The Old Testament was recognized by Jesus Christ, approved by Him, and often quoted by Him. Evidences from the New Testament prove that this was written by Christ’s Apostles and disciples. The style of the Gospels shows clearly that they were written by Jews. That the writers lived in the first century is shown by the vividness of their knowledge about Jerusalem, which was destroyed before the end of that century. The earliest Christian writers testify to the reliability of the Gospels; the consent of the churches of the time proves such reliability. The Gospels have not been changed by the passage of centuries. This can be proved from the oldest copies, from ancient translations and quotations. The Gospels could not have been altered, because the fervor of the early Christians carefully guarded them. When in the fourth century St. Jerome was ordered by Pope Damasus to gather all existing texts of the Bible and translate them into Latin, there were some 35,000 ancient copies. 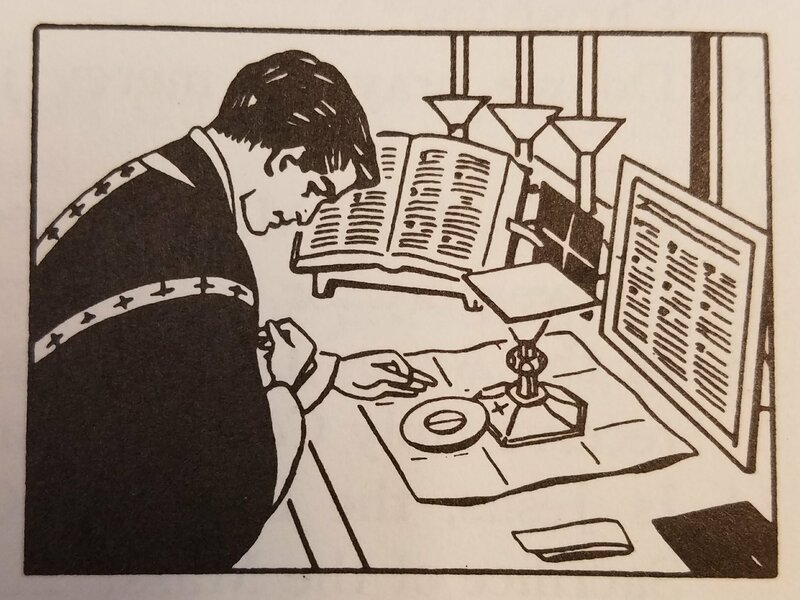 After thirty-four years of labor, he finished the translation, our Catholic Bible, called the Latin Vulgate, from which the Catholic English version has been made. How is the Bible divided? — The Bible is divided into two parts: the Old Testament and the New Testament. Seventeen prophetical books, of four greater and twelve lesser prophets, among which books are Isaias, Jeremias, and Daniel. The Apocalypse by St. John. The four Gospels and the Acts are mainly historical. The Epistles are doctrinal. The Apocalypse is prophetical. Who are the four Evangelists? — The four Evangelists are Saints Matthew, Mark, Luke, and John. St. Matthew was one of the twelve Apostles. Before he followed Our Lord, he was a tax-gatherer or publican called Levi. Matthew was the first Evangelist to write the Gospel, about six years after Our Lord’s Ascension. His work, written in Hebrew for the Jews of Palestine, was translated into Greek in the time of the Apostles. His work shows Jesus as proving Himself to be the promised Messias. St. Mark was the disciple of St. Peter, and wrote according to what he heard from St. Peter himself. He wrote for the Christians of Rome about ten years after Our Lord’s Ascension. St. Peter approved what he wrote, which shows Christ as the Son of God. St. Luke was converted by St. Paul and became his disciple. He wrote about twenty-four years after Our Lord’s Ascension, for a distinguished citizen of Rome. His work contains many details about the Blessed Virgin. St. John was Christ’s Beloved Disciple. He wrote about sixty-three years after Our Lord’s Ascension. The last of the Apostles to die, he wrote in his old age to testify, against heretics who had arisen, that Jesus Christ is true God. The Protestant reformers have said the Catholic Church was the true Church in Her early days. It is important to note that it is the Catholic Church who, through Her early Councils, originally confirmed which books of the Bible were considered inspired, and which books were to be included in the Canon of the Bible itself. This was essential to assure copies of Scripture had in those days agreed with the originals, and also to weed out books which contained heretical doctrine in them. 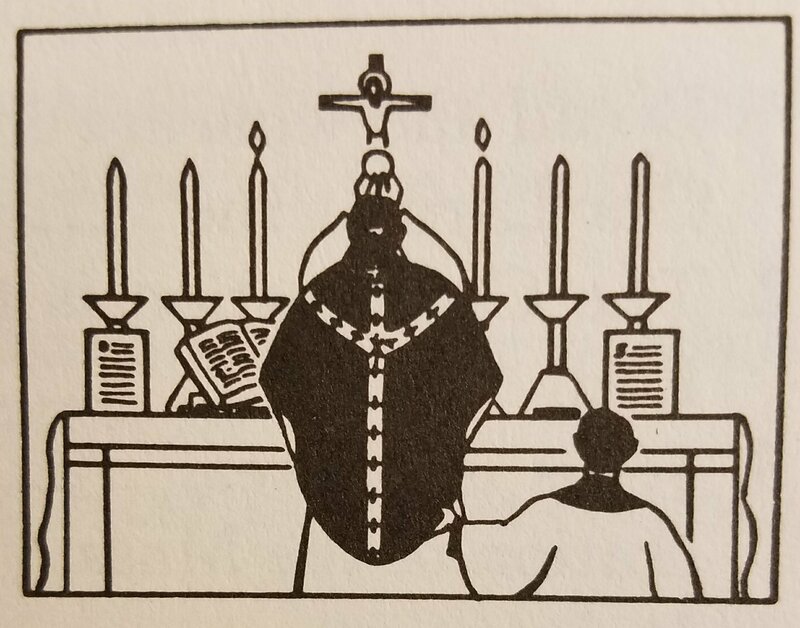 The Catholic Church confirmed the books (the Canon) of the Bible in the Councils of Hippo (393) and 3rd Council of Carthage (397) when, according to the Protestant reformers, She was still the true Church. The Catholic Church also confirmed the same Canon at the Council of Florence (1441) and Council of Trent centuries later and have used the same Canon ever since the Council of Hippo in 393. How then did the Protestant reformers remove so many books (i.e. Baruch, Tobias, Judith, Machabees, Wisdom etc) from the Old and New Testaments if it was the true Church that ruled they were Canonical? If the Protestant reformers truly thought the Catholic Church was the true Church at one time then later fell into error, why do the reformers not follow the decisions the Church made when She was still supposedly true? Who told the Protestant reformers that the books they removed from the Bible were not legitimate and by what authority did they remove them? Some Protestant reformers claim some books were rejected because they were not in Hebrew or Chaldaic, though some other books that were kept by the Protestant reformers were not in these languages either, so this excuse cannot be used. And where is it found in Scripture that they should be written in a certain language? To say that some books were not accepted because they were not accepted by the Jews does not apply to the point at hand either. 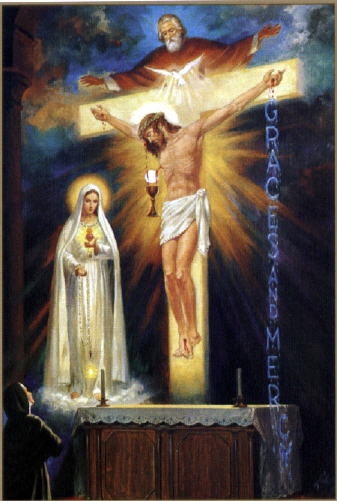 The Catholic Church holds the books of Machabees and others mentioned above as Canonical, and if she was the true Church when She determined this, then this is what must be believed. Because the Jews did not accept the deutero-canonical books does not effect the fact that the early Christian Church accepted them. Where in Scripture does it say the Christian Church has not as much power to give authority to the Sacred Books as the Mosaic may have had? Why do the Protestant reformers call parts of Scripture false when the whole of antiquity has held them as articles of faith? We see many writers from the first three centuries including St. Clement of Rome, St. Irenaeus, St. Hippolytus, Tertullian, Cyprian and many others all allude to the deutero-canonical books we mention above. Who gave the reformers the direction to declare these books false? For example, the book of Judith was made authoritative by the Council of Nice, when the Church was never greater or more solemn. Why blatantly defy the decisions of this council? Of those reformers who claim their decisions to strike books from the Canon are from the Holy Ghost, we ask that you please show proof. Why would the Holy Ghost suddenly give inspirations as to what everyone must believe to unknown men like Luther and Calvin, after they abandoned the Councils and the entire Church? Shall we simply believe the reformers at their word? How then do we believe or not believe the next person who also claims the same inspiration? If the Protestant reformers were inspired, then God would clearly show the world a sign like with others inspired in Scripture, but a sign the reformers have not shown so they are not to be believed. If God had revealed something a thousand times over to a private person we should not be obliged to believe it unless God gave us such an undeniable sign that we could no longer call it into question. How else are we to separate the false prophet from the true prophet? If we were obliged to believe everyone claiming internal revelations, we would soon be swamped with deceivers and would be completely lost.Where did the Protestant reformers come up with the exact list of books in the Canon they choose to follow? Who told them which books should be included or removed? It was not the Jews that told them as the Gospels would not be there. It was not from the Council of Laodicea for the Apocalypse would be in it. It was not from the Council of Carthage or Florence for Ecclesiasticus and Machabees would be included. So where did the reformers decide on their specific list of books to include? No such Canon was used before the Protestant reformation as the many Protestant denominations use now. What is the likelihood that the Holy Spirit hid for the first 1400+ years of the Church, then revealed a new Canon to two unknown men, namely Luther and Calvin? The Protestant reformers have taken away many books from the original Scriptures such as Ecclesiasticus, Baruch, Tobias, Judith, Wisdom and both books of Machabees. In the ancient Church there was originally some doubt about some books being inspired and no doubt about many others, yet the Protestant reformers have accepted some of the doubtful and cast out some that were never doubtful. So why were the specific set of books cut from the Scriptures by the Protestant reformers other than that the doctrine of some were hard for them to accept? The reformers do not give a logical answer for their striking some books from the Canon and it is clear that they were simply contradicting the Church. It just so happens that the contents of the books of Machabees contains doctrine on the intercession of Saints and prayers for the departed and Ecclesiasticus contains doctrine on the honor of relics, which is doctrine that just so happens to be accepted by the Catholic Church and denied by the reformers. 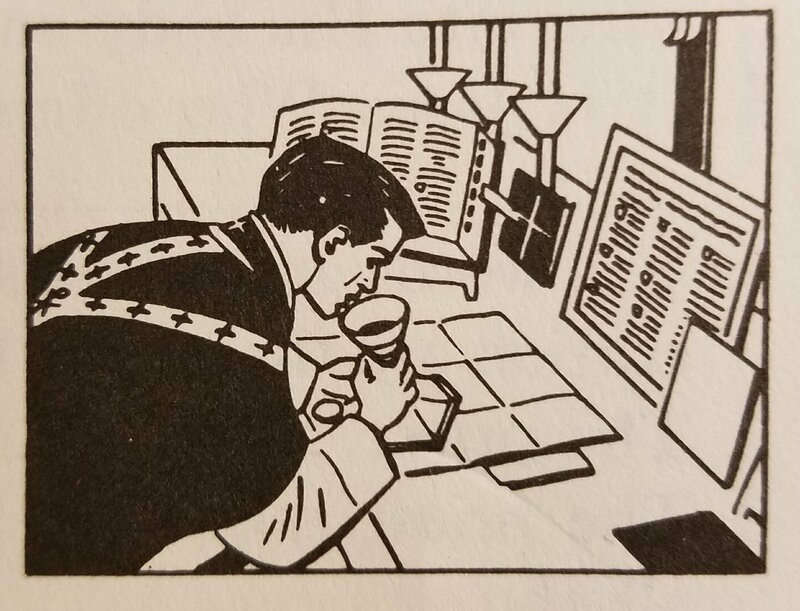 Remember, it was the Catholic Church in Her early days (when She was the True Church according to the Protestant reformers) that received the books Machabees as canonical along with the other books of Scripture. So why defy the Church on just Machabees? In (Acts 2:27) we see, “thou wilt not leave my soul in hell” while in a version of a Protestant bible we see the verse, “thou shalt not leave my corpse in the tomb”. Clearly this is not an accurate translation and the meaning is not at all the same. It is common knowledge that only one word can change the meaning of an entire sentence. We note here that Hieronymus Emser, a literary opponent of Luther, points out 1400 inaccuracies in Luther’s translation of Scripture, while Bunsen, a Protestant scholar, points out 3000. If Luther, Calvin and other reformers’ translations of a verse in Scripture differ from the original AND from each other, which one is the word of God? Or are all three versions of the verse still the word of God, though their translation may make their meaning completely different from the next? How can so many brains which are so different make so many translations without overthrowing the sincerity of Scripture? It has always been a practice of the early Church to limit the Scriptures to universal languages such as Greek and Latin since they are not only universal but also not subject to changes like other languages. Most other languages change town to town in accents, phrases, and words (i.e. slang), and vary season to season and age to age and therefore it has never been recommended by the early Christian Church to translate the Bible to other languages that are not fixed languages. Doing so has much more danger than profit as we can see from our example above. Though we note here also that the early Christian Church has never disallowed translation of the Scriptures to non-fixed languages, though She has always insisted that public services of the Church use a fixed language translation to avoid possibly misleading the faithful with verses of possibly incorrect translation and meaning. In summary, the Protestant reformers not only made major changes to Scripture by poor translations, but also translated Scripture to all the local non-fixed languages of the people where they started their churches, and they use those faulty translations in their church services. Is it not evident why there are so many Protestant interpretations of Scripture all in conflict with one another? The Protestant reformers claim that we simply need to refer to Scripture for our salvation. We agree, but when two people disagree on the interpretation of Scripture, who shall be the judge as to the correct interpretation? Disagreements arise in nearly every verse of Scripture of which could easily lead one of the parties to damnation. It is illogical to think that Our Lord would expect us all to interpret Scripture on our own with no judge to turn to since this will always lead to endless disagreements. There can be countless wrong answers to a question, but only one right answer. All of those interpreting Scripture incorrectly will be lead down the wrong road. It is illogical for us to think God left us in anarchy with respect to interpretation of Scripture, at the mercy of the winds and the tide, with no pilot to help steer the way, as this would mean he wishes our destruction. As with a ship at sea, if everyone attempts to steer in the direction they think is right, we will inevitably wind up lost. If it is true that the Scriptures are so easy to understand, what is the use of the commentaries made by countless Protestant ministers, and what good are so many schools of Theology?Also consider the verse, “As also in all his epistles, speaking in them of these things; in which are certain things hard to be understood, which the unlearned and unstable wrest, as they do also the other scriptures, to their own destruction” (2 Peter 3:16). How else can we interpret this than to say Scripture is difficult to understand, and to interpret it incorrectly can lead to our destruction? And to those who say they must read and understand Scripture themselves, consider the large number of poor ignorant people who cannot read the Scriptures. What is to happen of them? Obviously they can find and seek their salvation through the mouth of a pastor. “How shall they believe him, of whom they have not heard? And how shall they hear, without a preacher?” (Romans 10:14) Consider the verse, “And Philip running thither, heard him reading the prophet Isaias. And he said: Thinkest thou that thou understandest what thou readest? Who said: And how can I, unless some man shew me? And he desired Philip that he would come up and sit with him.” (Acts 8:30-31). Obviously interpretation of Scripture is needed! Taken from “My Catholic Faith” and the work of the great St Francis de Sales. I am not the author merely the distrubutor.